Everything you need to know about the Saint Joseph’s Hawks as the NCAA tournament begins. The Case For: Saint Joseph’s beat three of the A-10’s top five teams—George Washington, Dayton and VCU—in consecutive days to win the conference tournament last weekend. The Hawks won close games (all three were decided by seven points or less) against good opponents (No. 77, 54 and 35 in kenpom.com, respectively) away from home on short rest. If they can bottle that magic, that bodes well for their chances in the tournament. 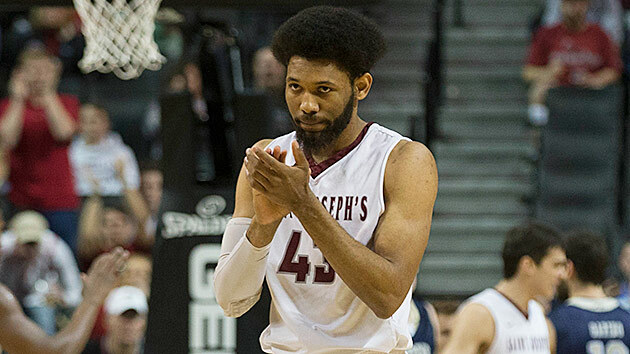 Saint Joseph’s has a veteran 1–2 punch of Bembry and senior forward Isaiah Miles, who leads the team in scoring (18.4 PPG), rebounding (8.1 RPG) and three-point shooting (1.8 per game on 38.8% shooting). The Hawks’ offense ranks 25th in efficiency among NCAA tournament teams thanks to their velcro-like hold on the basketball and strong two-point shooting percentage. Their 14.3% turnover rate is the fourth-best in the country and Saint Joseph’s makes 52.5% of its shots inside the arc. The Hawks appear to be peaking at the right time, they have two established scorers and strong roster continuity from last season (13th highest percentage among tournament teams). If Saint Joseph’s can grind out a win against Cincinnati, top-seeded Oregon more than likely awaits. Thanks to their size and athleticism, the Ducks block shots at similar rate as the Bearcats but also wield the nation’s fifth-most efficient offense and have matchup nightmares in 6'7" forward Dillon Brooks, 6'4" guard Tyler Dorsey and 6'10" forward Chris Boucher. Saint Joseph’s had the horses to run through the A-10 tournament, but the NCAA tournament is a different animal. If the Hawks can overcome Cincinnati’s top-10 defense, then they’ll have to try to slow down Oregon’s top-five offense two days later, which is a lot to ask of for any team. SI prediction: Beat No. 9 Cincinnati in the first round, lose to No. 1 Oregon in the second round.